The number of anti-Semitic hate crimes in Germany has risen substantially in the first half of 2018 compared to the same period last year, according to German police data released on Wednesday. German police said 401 anti-Semitic crimes were reported throughout the country in the first half of this year, a 10.7 percent increase from the 362 hate crimes reported in the first six months of 2017. The data also showed the vast majority of the crimes (349) were perpetrated by neo-Nazis or other far-right extremists. Police said six of the anti-Semitic crimes reported in 2018 so far were motivated by “religious ideology,” which would include attacks motivated by anti-Israel hatred. But Jewish officials were contesting that claim, saying many more attacks were carried out by Muslim extremists than recorded by police. 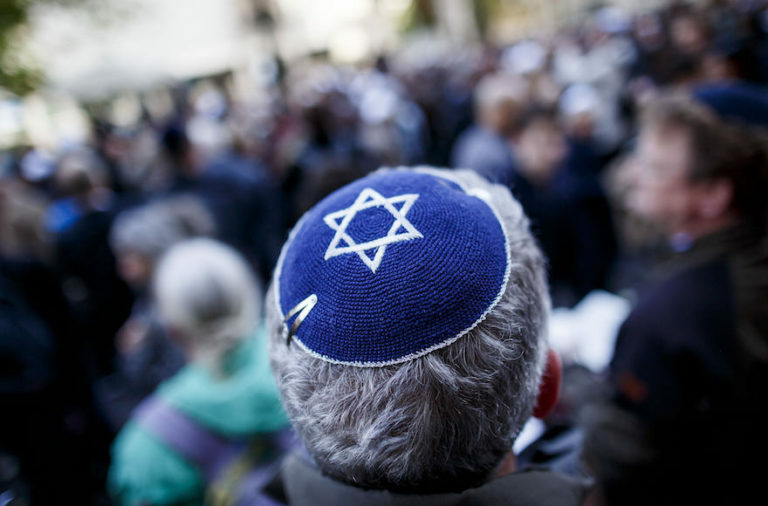 The largest number of the anti-Semitic crimes were carried out in Berlin (80), and the second highest (43), were carried out in the southern German state of Bavaria, according to police figures. The figure in Berlin corresponds to one-fifth of the 401 anti-Semitic incidents reported nationwide. The police data was released in response to a freedom of information act request from left-wing lawmaker Petra Pau, amid concerns in the rise of anti-Jewish incidents in Germany, which some say has been exacerbated by the recent influx of over a million predominantly Muslim refugees. 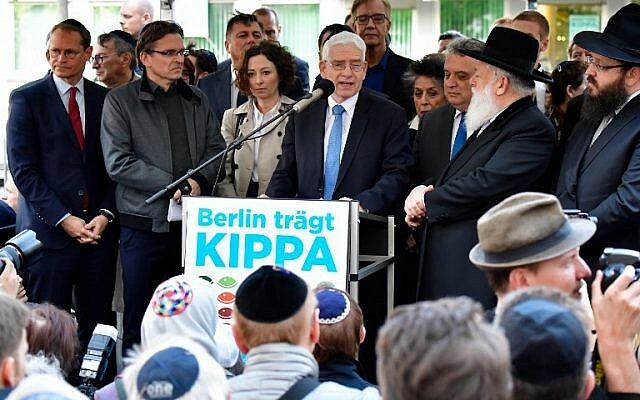 Jewish groups have increasingly urged authorities to combat anti-Semitism in Germany, particularly in schools, which have also seen a sharp uptick in anti-Jewish bullying incidents in 2018. Berlin Jewish official Sigmount Königsberg told German newspaper Deutsche Welles on Wednesday that a much larger percentage of anti-Semitic incidents were committed by Muslim extremists than indicated by police data, and that the increase in religious bullying in schools was driving the overall surge in anti-Semitic incidents. “I would say at least five out of ten anti-Semitic incidents have got a Muslim background. Sometimes even more – for example in schools it would be eight out of ten,” he told the paper. He said German police were incorrectly categorizing offenses as “right-wing,” thanks to an outdated classification system. Königsberg noted that police labeled a 2016 Salafist rally as a “far-right Nazi incident” because participants displayed the Nazi salute. Some of the anti-Semitic attacks in recent months have shocked Germany and drawn condemnation from German Chancellor Angela Merkel. 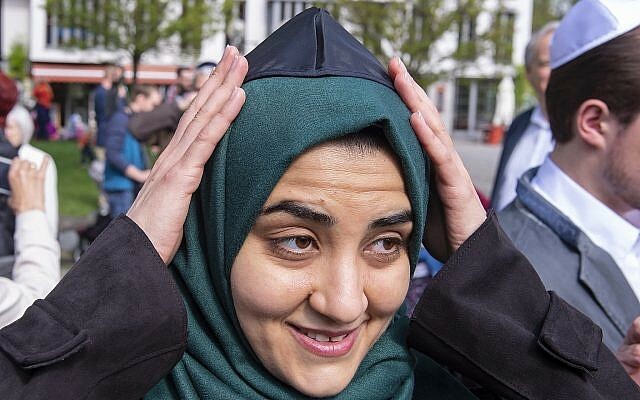 In April, a Syrian migrant lashed out with his belt at an Arab Israeli man who was walking around Berlin wearing a kippa in a social experiment. 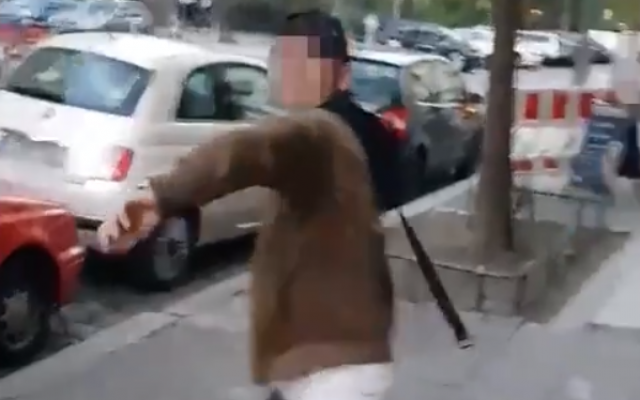 Video of the street assault, filmed by the victim on his smartphone, sparked widespread public condemnation and triggered street rallies in solidarity with Jews. A court later convicted Knaan al-Sebai, 19, a Syrian migrant of Palestinian origin, on assault charges and he was sentenced to four weeks of juvenile detention for the attack. Last month, a man wearing a Star of David necklace was violently attacked by a group of men in a Berlin park. The perpetrators — who spewed “anti-Semitic insults” at the man and tore off his necklace while they beat him — were all identified in German media reports as Syrian migrants. Berlin police arrested 10 people in connection to the attack days later. Days after the Berlin park attack, the German government announced an increase in state funding for the Central Council of Jews in Germany for the first time since 2011. 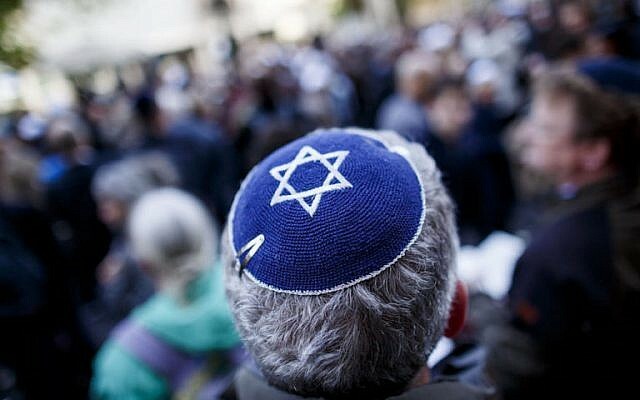 Central Council President Josef Schuster said the 3 million euro increase in funding would mainly go towards school-based programs to fight anti-Semitism. Earlier this year, German Chancellor Angela Merkel told Israeli TV that she was “saddened” her country has not been able to snuff out anti-Semitism for good, and that to this day, Jewish schools, kindergartens, and synagogues require police protection.